Will Eisner. 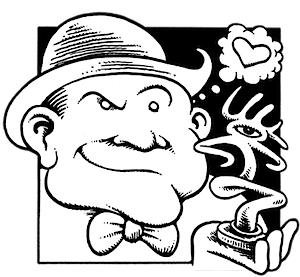 A true pioneer, Will Eisner was present at the birth of the comic book industry in the mid '30s, where he created Hawks of the Seas; Sheena, Queen of the Jungle and Blackhawk at Eisner & Iger and Quality Comics If Eisner had just created the innovative newspaper insert The Spirit (1940-1952) he would have secured a place in comics history. 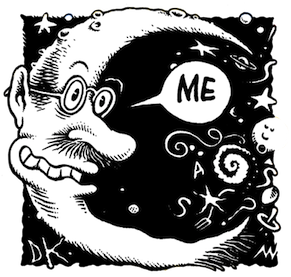 But he also pioneered the use of educational comics with his P*S magazine for the U.S. Army during World War II and continued oveseeing it, and other educational comics, for many years. And in 1978 his groundbreaking graphic novel, A Contract with God, triggered a new revolution in comics storytelling and format. 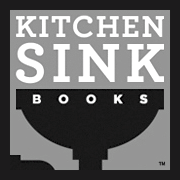 Eisner created an additional fifteen acclaimed graphic novels for Kitchen Sink Press, DC Comics and Dark Horse. He continues to create new work as an extremely active octogenarian. One of the industry's two most prestigious awards is named after him. 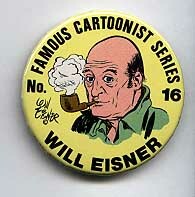 Pinback Jack issued this "Famous Cartoonist Series" of self-portrait buttons back in 1975. 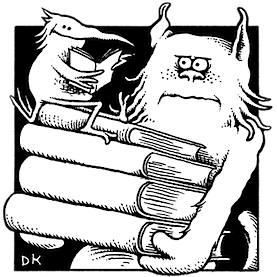 All of the participating cartoonists were alive and created self-portraits specifically for this button set. With very few exceptions, the images have not appeared elsewhere in print. The buttons were distributed by Krupp Comic Works and Phil Seuling. This set was originally announced as 52 buttons, and the alphabetical numbering reflects that. 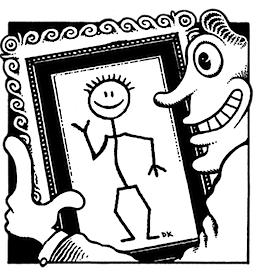 However, two artists (Neal Adams and Rick Meyerowitz) turned in their self-portraits late, after the first 52 had already been designed. They were included in the set, but numbered 53 and 54 respectively, out of alphabetical sequence. Steve Krupp's Curio Shoppe is now the exclusive source of the remaining limited inventory. All the color buttons in this set are metal with clear celluloid covers, are 2.25 inches in diameter, and have "safety" pinbacks. This button is listed for sale as an individual, but we do offer the complete set as well.